Trying to get the right mix of exploring and relaxing is never easy for us. 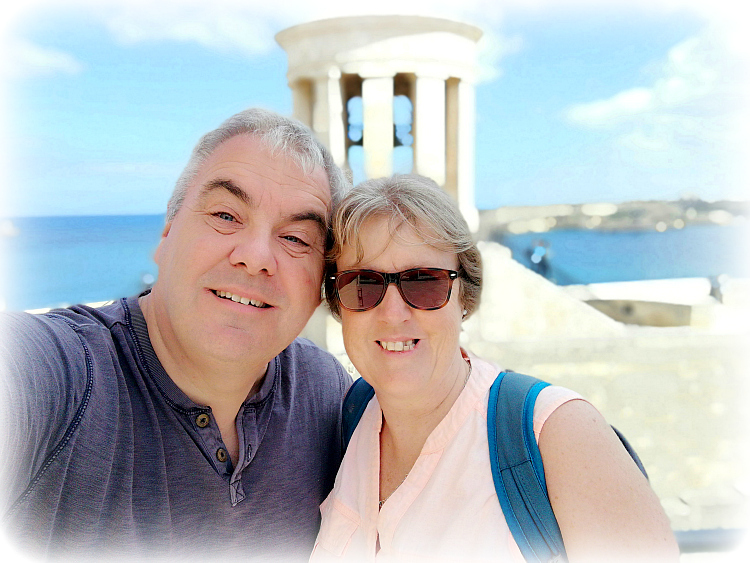 The whole plan was to have some “down time” but once we get to any new location, be it UK or abroad, the urge kicks in to get out and explore. 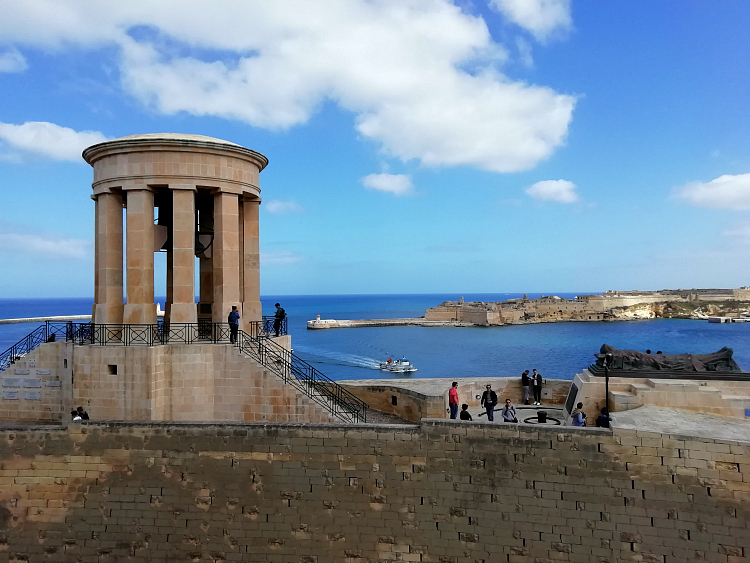 Before even arriving in Malta, there were a few “must see” places one of which was the capital, Valletta. If you’re into ticking things off, which I am afraid we are particularly adverse to, it is the southernmost capital of Europe. We, on the other hand, were going for a jolly in the public bus to a very historic and scenic city. We chose a sunny day so we could get maximum views and hopefully get to a couple of al fresco cafes. Like good school children on an outing, we had an early breakfast, had our packed lunch and bottle of water and correct money for the bus. Maltese buses are like Marmite, you love them or hate them. We came to love them. They don’t always run to time, get very full and are slow. Having said that, they are only €1.50 for any length of journey, they do come fairly regularly and we aren’t in a hurry. Then you get to see the size of some of the streets the routes run down and you marvel that they arrive at all. The large bus terminus stood right at a large plaza outside the City Gate. 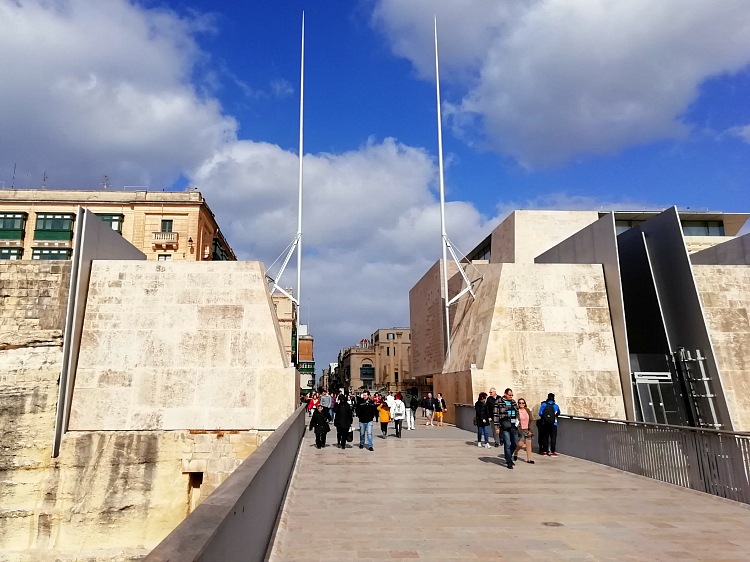 The Gate is the entrance to the peninsula city that is Valletta. To be honest, the City Gate wasn’t quite how we pictured it because it was a modern version. Evidently some serious bombing in WWII had flattened the original one along with the adjacent Opera House. On either side of the short bridge and contemporary brick gateway there were impressive fortifications which hinted at what was to come once within the city. 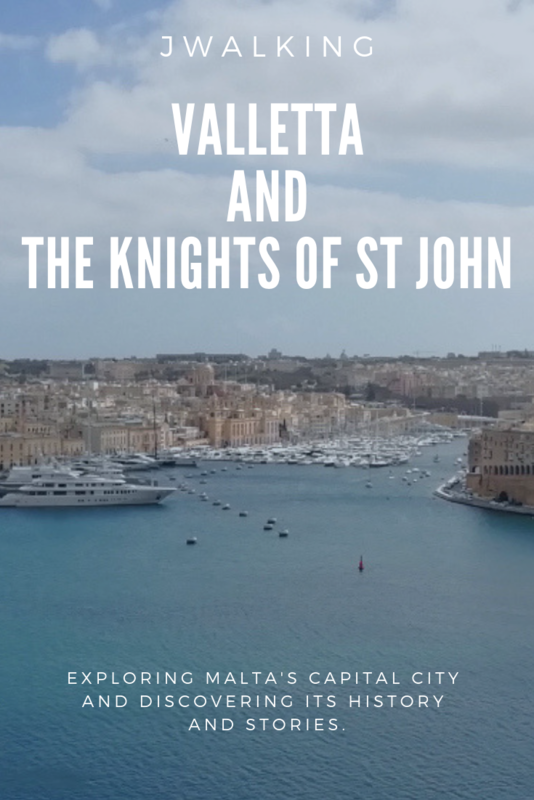 I can’t possible right a blog article on Valletta without mentioning these Knights. Briefly, this was a medieval Catholic military group, established in 603 by the Pope, who considered it their holy duty to care for pilgrims travelling to the Holy Land in Jerusalem. They were also known as the Knights Hospitaller and ruled from the 16th to the 19th century. 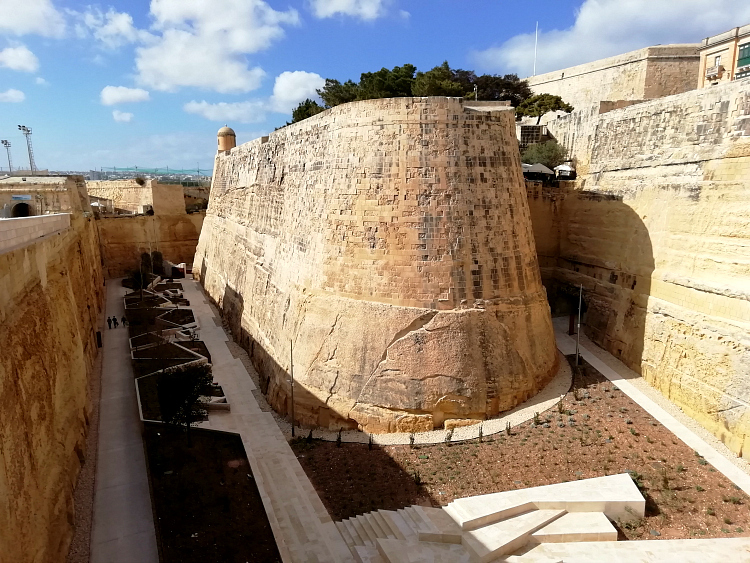 Their main headquarters was Fort St Angelo on the Grand Harbour and two other nearby fortified settlements that are now know as the “Three Cities“. 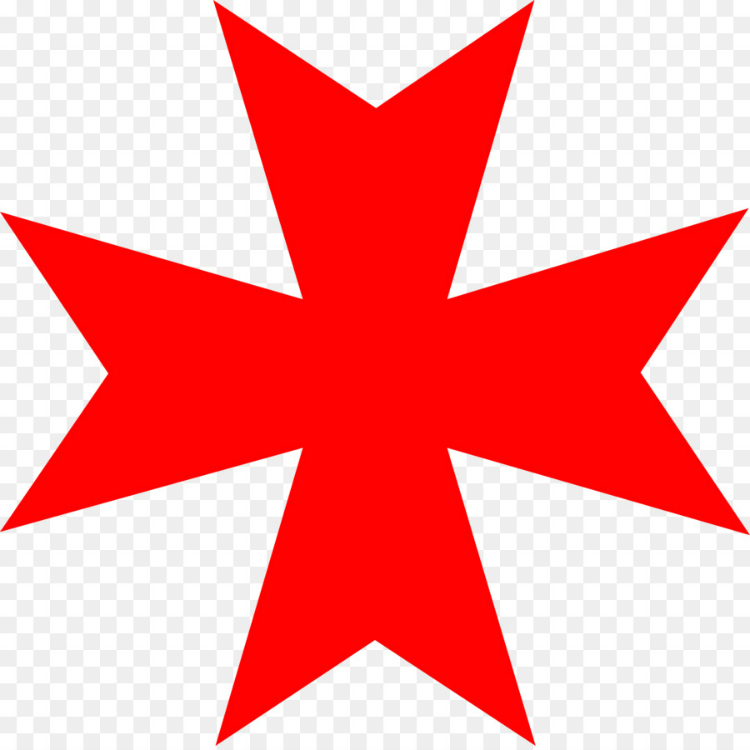 The Order of St John are synonymous with Malta and part of their legacy is the well known Maltese Cross. Its eight points denoted the eight obligations of the Knights, “to live in truth, have faith, repent one’s sins, give proof of humility, love justice, be merciful, be sincere and whole-hearted, and to endure persecution“. The Maltese Cross seems more prominent than the national flag. 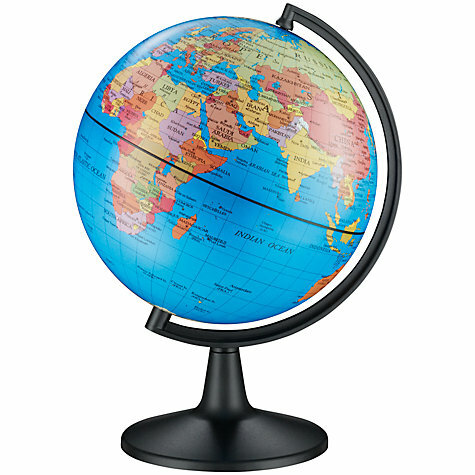 In fact if you were a tourist you may think it was the flag of Malta. First stop was the former recreational area for those Knight when they were enjoying time off from looking after pilgrims. 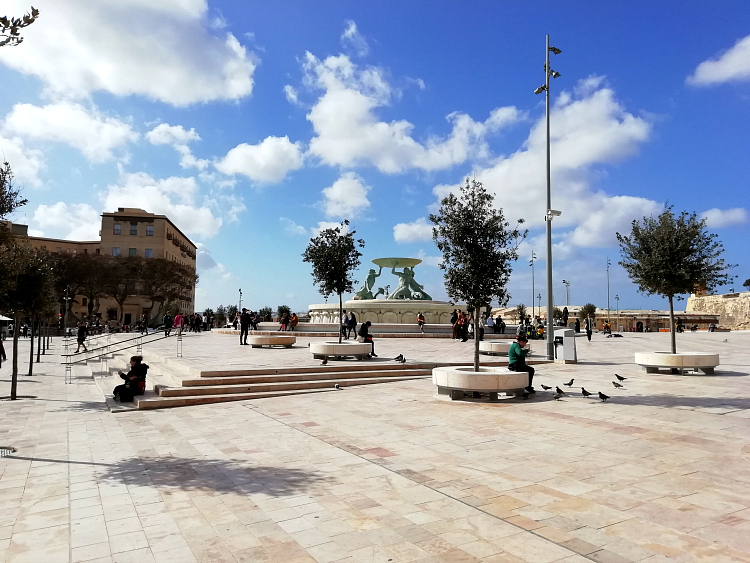 It is now the recreational area for tourists and gives them a stunning overview of the Grand Harbour, Fort St Angelo and the Three Cities. The gardens sit on top of The Saluting Battery. This was a defence position across the harbour from Fort St Angelo, established by those clever Knights, to protect their headquarters. Today it is a museum and the cannons fire from the terrace at 1200 and 1600. Bet it frightens the life out of the selfie seeking tourists on the terrace about. Sorry but I can’t go any further without giving into the need to call this the Holy Order the Knights Who Say Ni (for you Monty Python lovers out there). We headed along the edge of the harbour past the very impressive Victoria Gate entrance to the city. 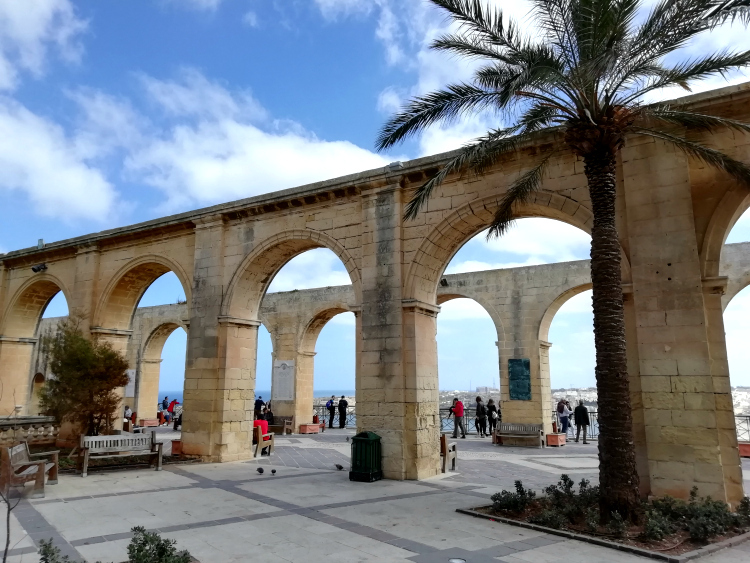 Our destination was the Lower Barrakka Gardens but we kept stopping along the way to enjoy more harbour views to the right and the historic city to our left. With it’s winding streets and staircases it truly felt like stepping back in time. This shady terrace gave us great views to the entrance to the harbour and of the Siege Bell Memorial. 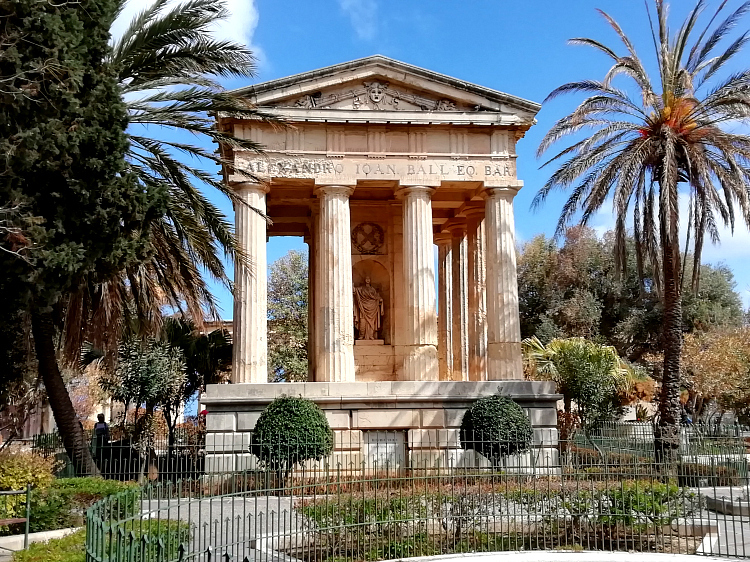 This monument houses the largest bell in Malta and it booms out over the harbour at midday everyday. No doubt competing with the cannons on the Saluting Battery. It is commemorating what is known as the Siege of Malta during WWII. 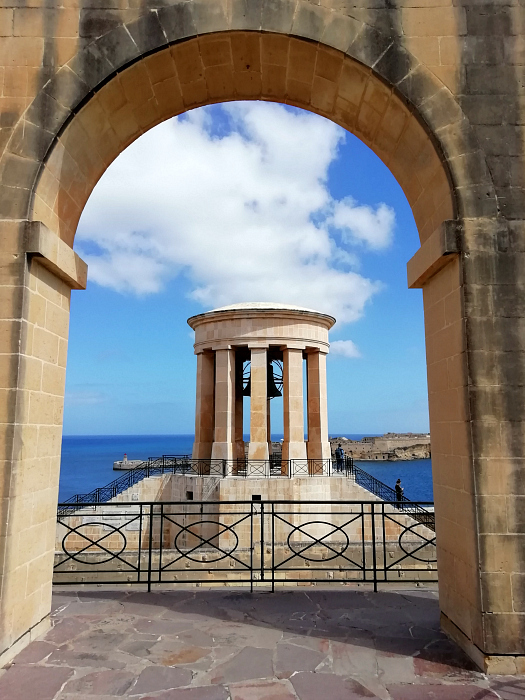 At first sight, because it is hard to see the detail, we thought the bronze tomb sculpture you can see to the right of the Siege Bell monument was for the Knights of St John but it is symbolising an Unknown Soldier from WWII who was buried at sea. Its quite unusual that the soldier is lying down which is another reason we thought it was representing a different era, most WWI and II memorials/statues show soldiers standing or kneeling. More wanderings along the two main streets on the peninsula, Republic Street and Merchant’s Street took us past the Grandmaster’s Palace and Armoury, St John’s Cathedral and too many small chapels and churches to count. Just as we were beginning to flag, we came across Republic Square and a couple of nice cafes with tempting tables bathed in sunshine. One bottle of the local brew, Cisk, and one much needed caffeine hit while listening to a very good busker made the perfect end to our day in Valletta. Time for the JWalkers to head out of the City Gates to the bus stop for the very punctual, very sardine like 45 minute ride back to the hotel where a much needed buffet dinner awaits. 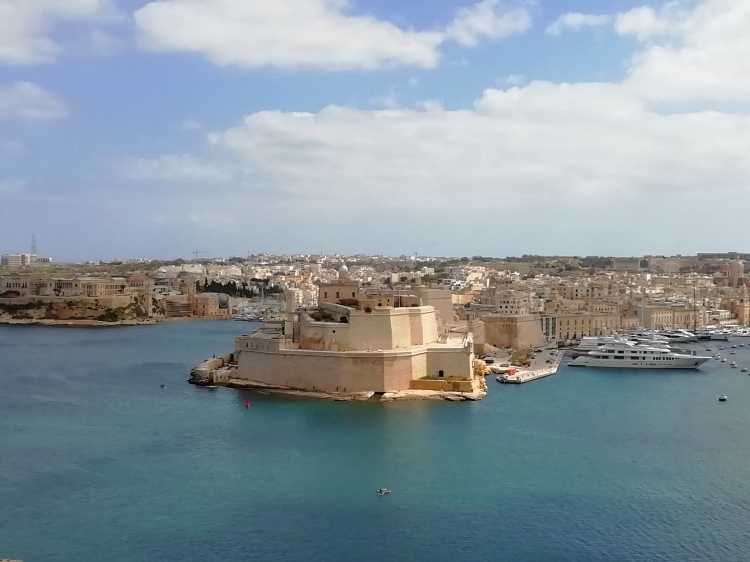 Lovely, I was pleasantly surprised with Malta when I visited three or four years ago and could return to Valletta anytime! Beautiful city and we were blessed with beautiful weather for March. 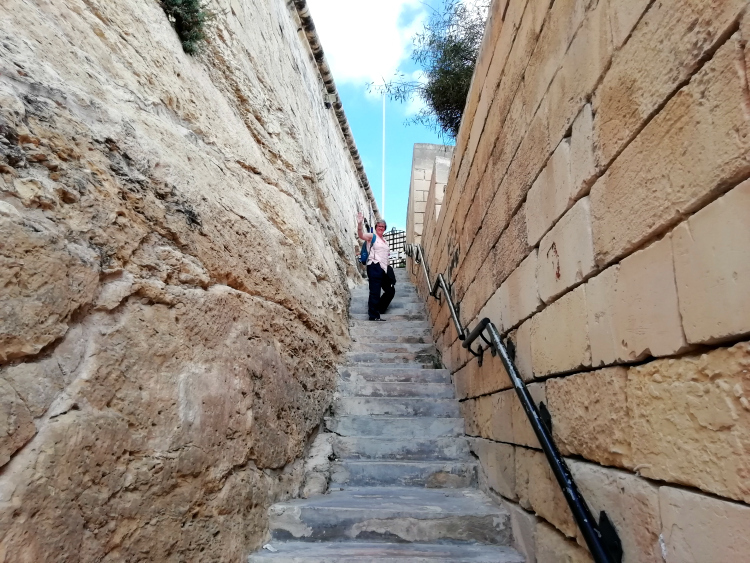 I have fond memories of Valletta….. when we arrived the first time, walking through the gates and down one of the steep streets the first view of the harbour and the bright blue sky was something else. We love using local buses. You get to see all the out of the way places and the view from up high is great. It certainly makes you feel like a local. Thank you. Don’t brush up too badly do we? 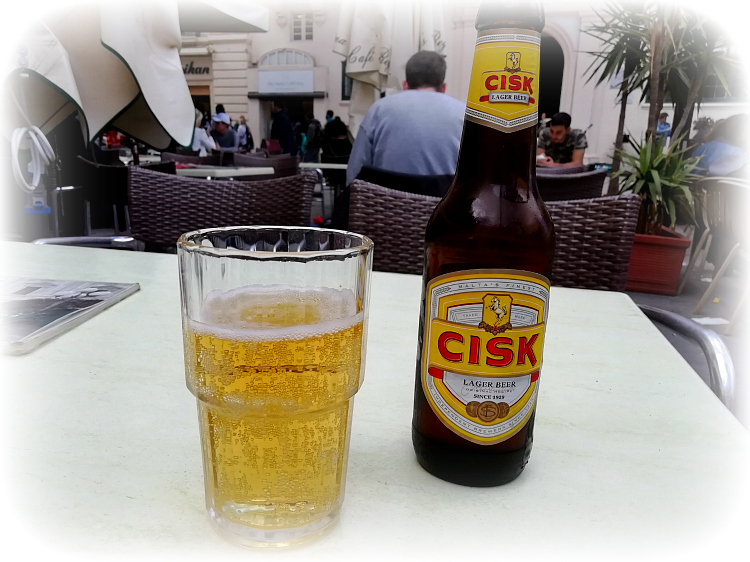 Great Cisk reference, my hubby loves it when in Malta (it must be the heat as he is an ale man back home). He is back visiting friends there in July, watch those sales figures increase! Beer always tastes different in the sunshine, as does Sangria! Such beautiful photos! 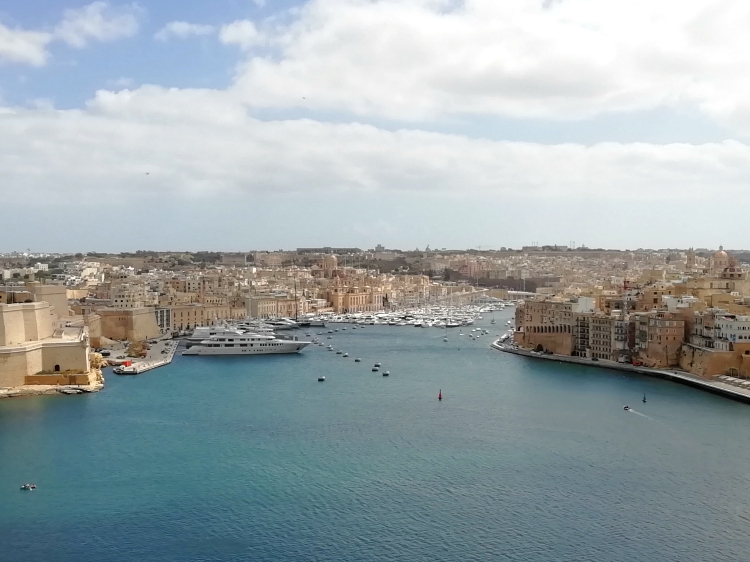 You’ve definitely convinced us, we want to go to Valetta too. Glad you had a great time! You won’t be disappointed. We sort of wished we had stayed in the centre for a couple of days to explore more. 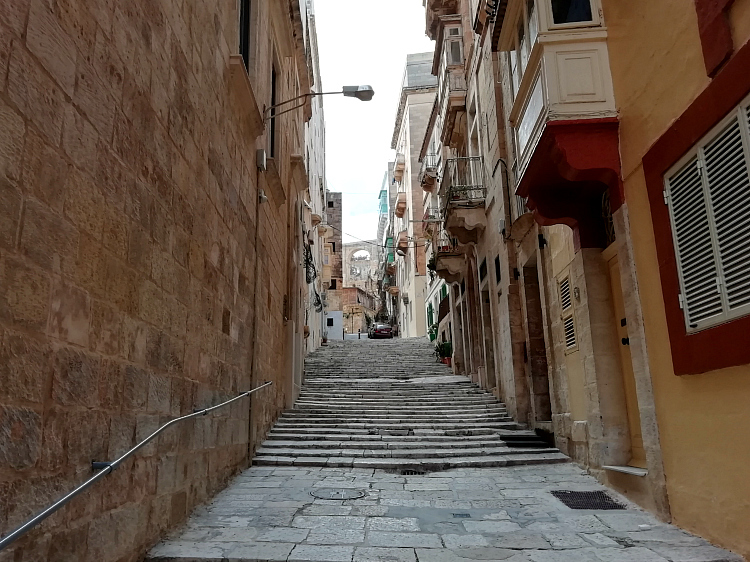 Valetta looks so beautiful – I’ve not been but it sounds like there’s lots to see and do. And your photos are lovely! Thank you. Hope it gave you a flavour of all things Maltese. 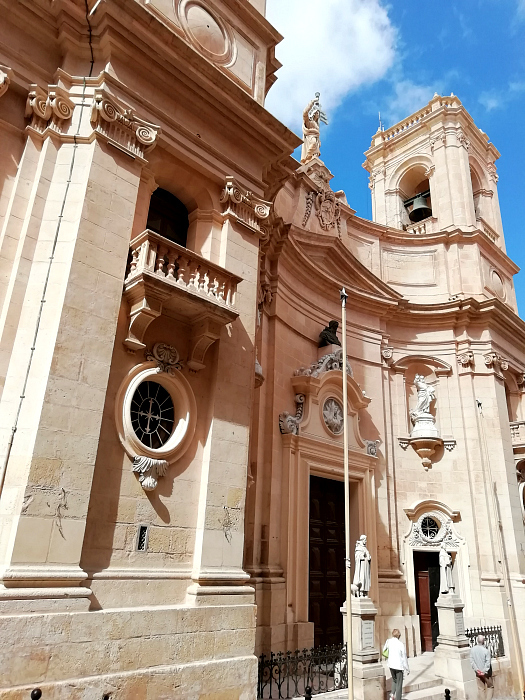 Valletta sounds like a fabulous place, full of history and very pretty. Love the sound of that beer and coffee too and those views … perfect! Considering the battering it took in the Second World War it looks remarkably intact, and still has its charm and beauty. It looks fabulous. Knowing that fact we were surprised to see so many original buildings. Could have spent at least another day or two exploring. There’s certainly plenty to see. We only scratched the surface. What a beautiful and interesting city. Had no idea how historic the place is. It didn’t look too busy either. 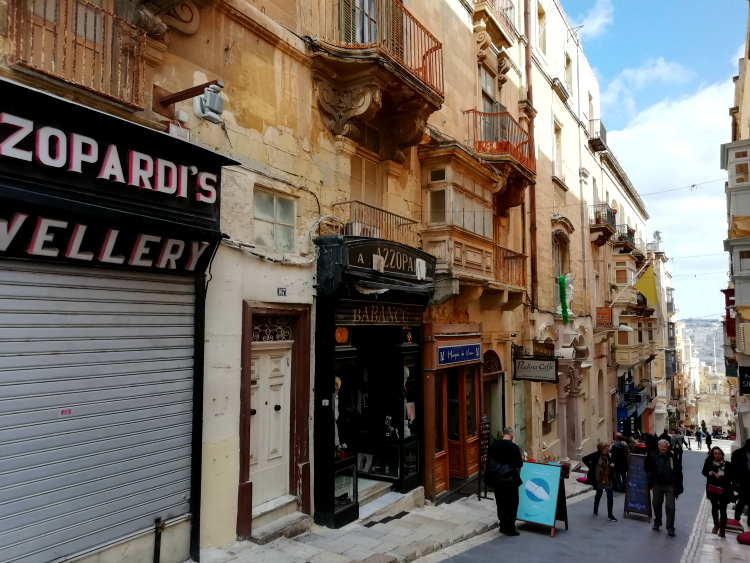 What’s the accommodation situation like in Valletta? Can you get there by train? The history is fascinating. Didn’t stay in Valetta but it would be a great place to stay. No trains on the island but it could be done by train through Italy and Sicily then ferry to Malta. Mammoth but interesting. Get planning! I just love your relaxed and easy going style and your photos of this gorgeous place!! So pleased this post reflected the easy going way we try to approach life generally. JWalking is the slow less stressed path travelled. I love the stone the buildings are built from. Do you know what it is Joanna? It’s that lovely sunny cream colour, like sandstone, but I don’t think it is sandstone. My in laws didn’t like Malta at all, so we never considered going there. I can see I was mis-guided! It looks lovely. I think it is Maltese limestone. It is very unique and we enjoyed the whole trip. Aren’t they! Rich in history and good on the eye! Great photos!! 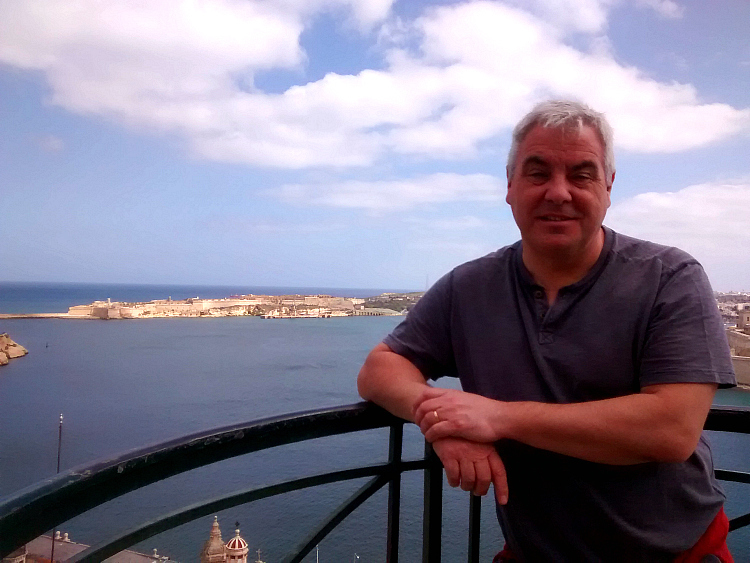 I really don’t remember much about the island when I was there over 20 years ago apart from the silent city Mdina. But it does look lovely and full of history and def worth a trip back. It was beyond our expectations. Can see why you are thinking of returning.